I'm back with another fun card featuring the Make a Wish Card Kit. I seriously LOVE this kit! 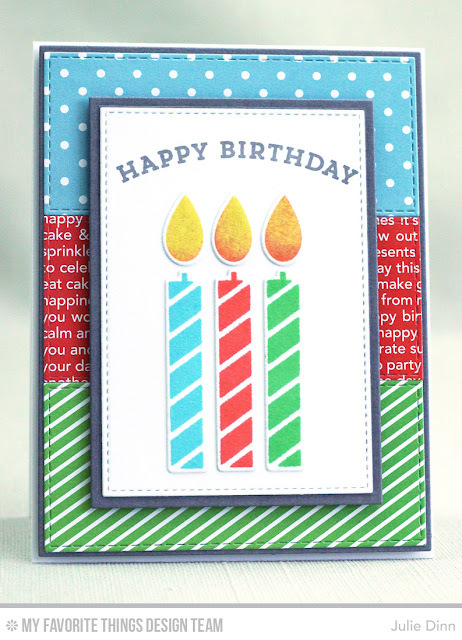 The kit includes the fabulous Birthday Blowout Patterned Paper. This paper pack is full of fantastic prints in great colors! The candles were stamped in Blu Raspberry, Persimmon, and Green Room Premium Dye Ink. The flames were stamped in Lemon Drop and Persimmon Premium Dye Ink. The happy birthday sentiment was stamped in Gravel Grey Premium Dye Ink. Very cute, and I Iove the colors. Good job! 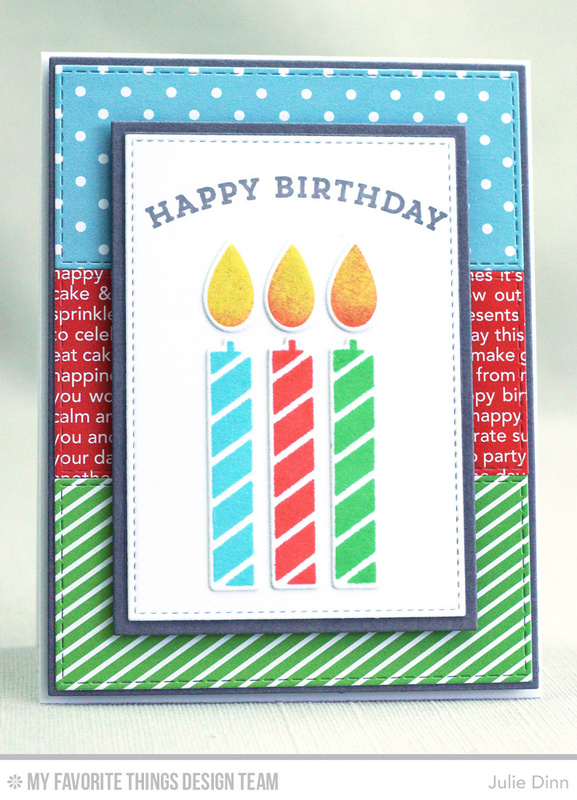 Three canles on three colors- great way to show off the candles! Love your background mix on this card. Having a candle match each one was a nice touch! Very nice card. Great mix of patterned papers for your background Julie. Can't wait for 10:00 to come! Love the mixed patterns and colors!